It was 2:00pm and those who knew just how great this concert was going to be were all ready in their seats and grateful they didn’t have to miss it, for a class. Andrew Hare is an exceptional drummer! Andrew Hare grew up in a musical family, but didn’t find the drums until high school. He quickly fell in love with jazz through the music of Miles Davis and began to grow rapidly as a musician. His pursuit of jazz led to a music degree from Michigan State University, where he played in the schools award-winning Big Band, as well as an array of small groups. In addition to touring Japan and the United States with the MSU Big Band, he was also selected to participate in the prestigious Jazz Aspen Academy under the guidance of Christian McBride. 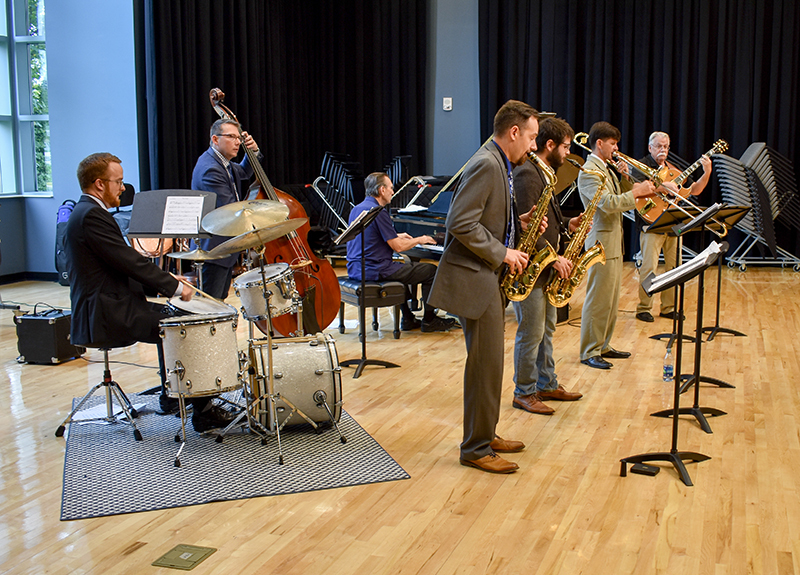 He has also had the opportunity to perform with some legendary musicians including Rodney Whitaker, Jon Faddis, Frank Morgan, and Hank Jones. 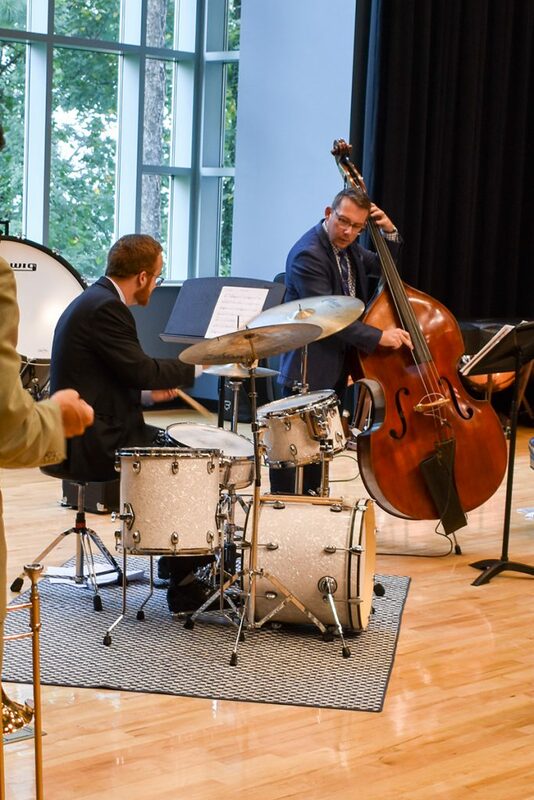 Since moving to DC in 2009, Andrew has become the chair of the percussion department at the Levine School of Music, earned a masters of music from the University of Maryland , and created the popular jazz drumming blog “The Melodic Drummer”, all while playing and recording with some of the area’s top jazz musicians. 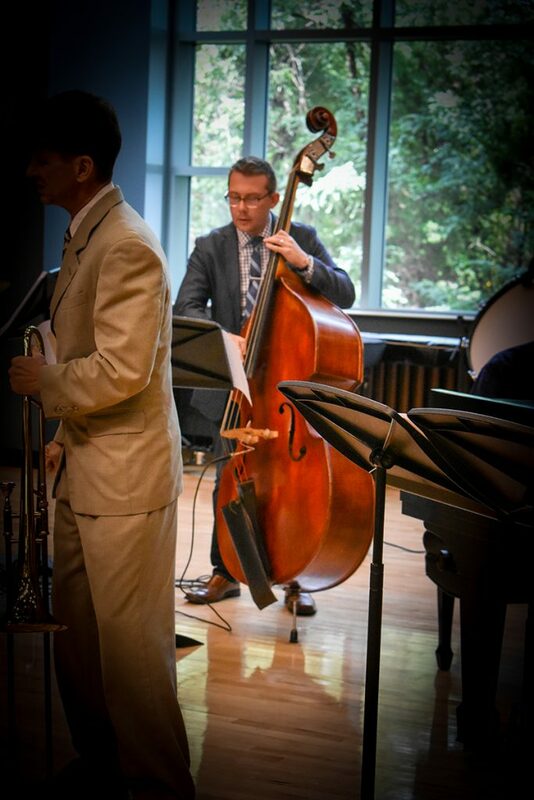 He looks forward to an exciting career of sharing his passion for music with audiences in DC and around the country. Kevin, is known for his solid, earthy style of bass playing that you can hear live on over 30 recordings. 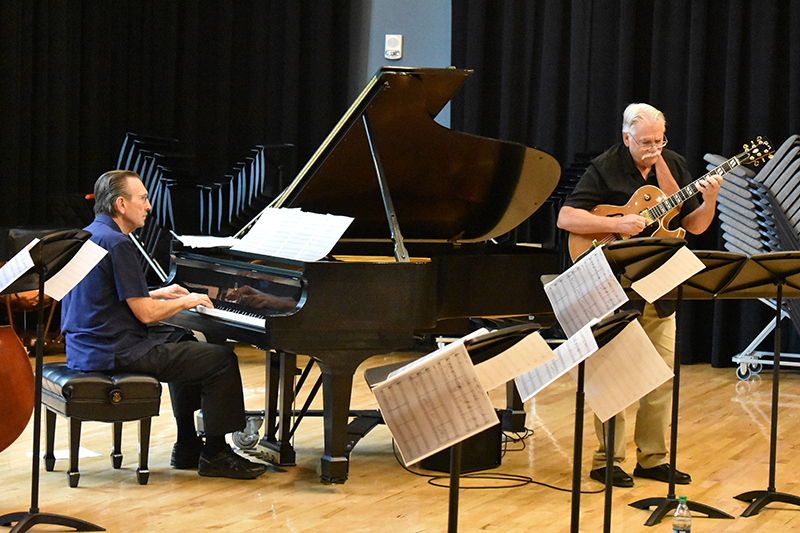 A founding member of the DC Jazz Composers Collective, Pace has composed numerous award-winning compositions for jazz ensembles, orchestras, film, and artist collaborations. 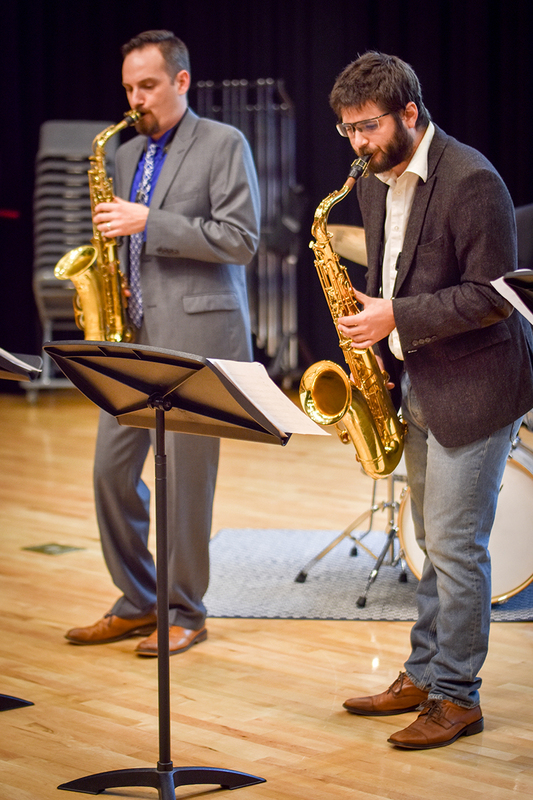 He has performed throughout the world at venues such as the Kennedy Center, Strathmore, and the Smithsonian, as well as jazz clubs all over the East Coast. 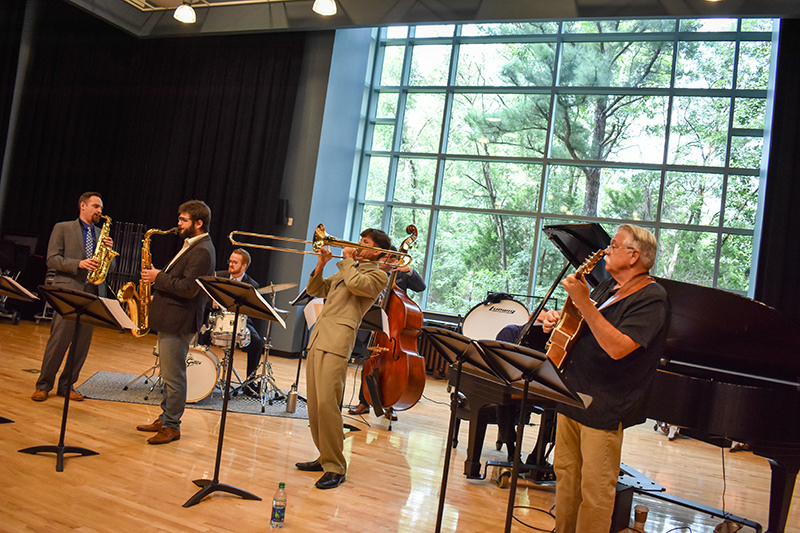 Pace has performed with jazz greats including Gretchen Parlato, Freddie Redd, and David “Fathead” Newman. He teaches here at NOVA as well as Shepherd University. Ken Hall received a bachelors from Westfield State University in Mass. and his masters from the University of Massachusetts at Amherst in 1986. He’s studied classical guitar with Tim Olbrych and William Feasley and jazz guitar with Mick Goodrick, Barry Galbraith and Ted Dunbar. 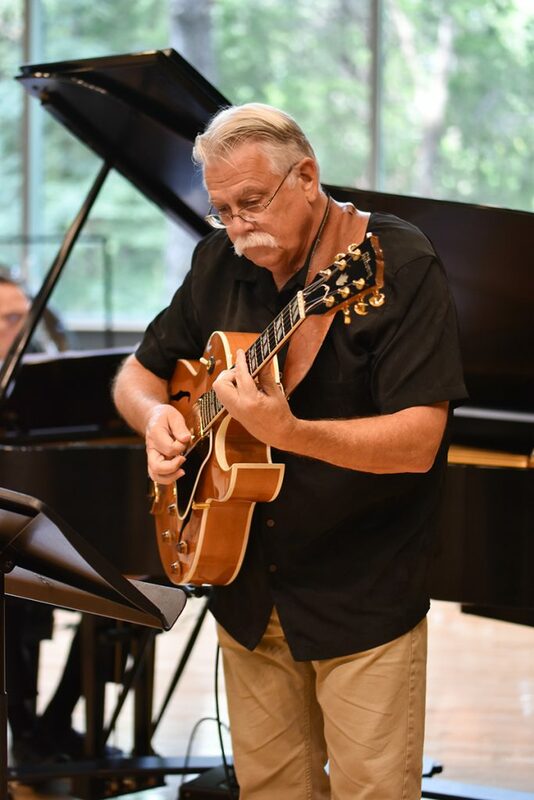 Aside from teaching for us, Ken is an in-demand freelance guitarist playing engagements with the Richmond Symphony Orchestra, at the Kennedy Center’s Opera House, Signature and Olney Theatres, Blues Alley and the Smithsonian. He toured the former Soviet Union with a 16-piece big band as a guest of the Soviet State Department and has performed with jazz greats Max Roach, Dave Weckl, Slide Hampton, Keter Betts, Don Braden, Hilary Jones, Chris Vadala, country rocker Charlie Daniels, gospel great Andrae Crouch, comedienne Joan Rivers, and Italian crooner Al Martino to name a few. 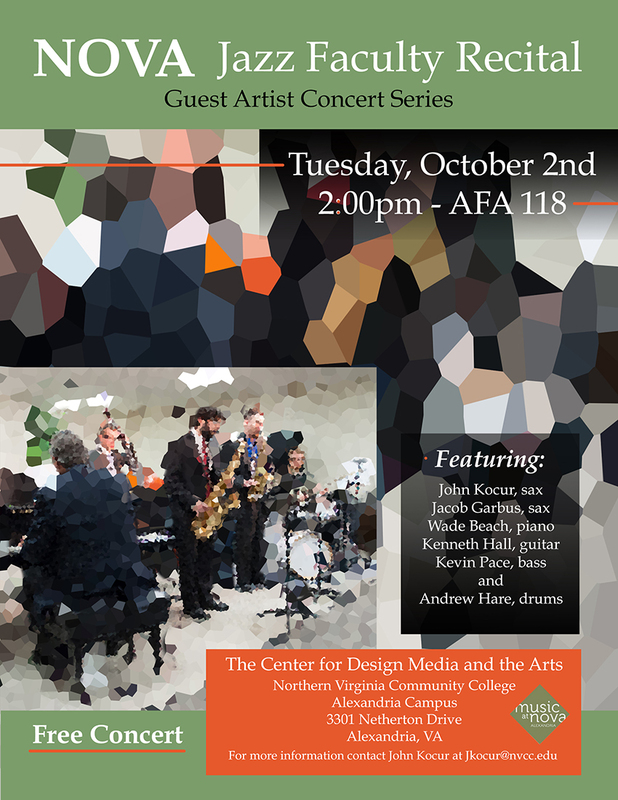 Aside from his time here at NOVA, he has also taught classical and jazz guitar at Amherst College, Westfield State University, University of Massachusetts at Amherst, and Shenandoah Conservatory in Winchester, Va. 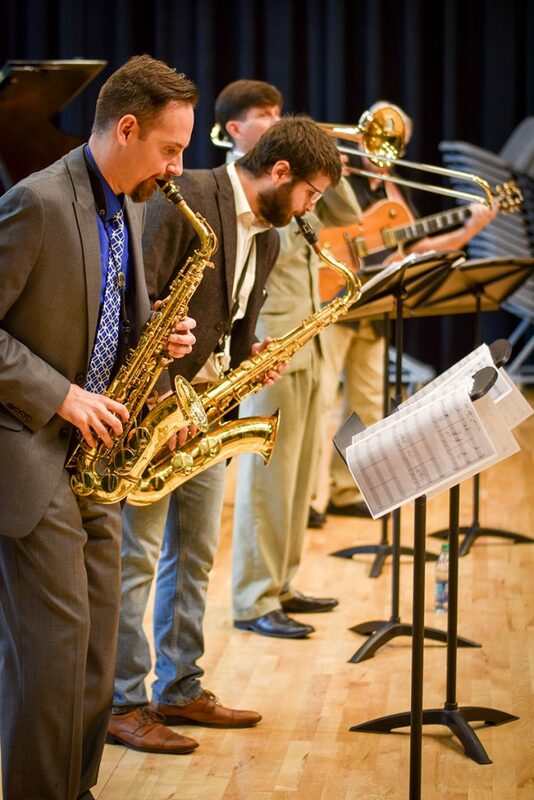 When John isn’t teaching around town, he’s working with his quartet or freelancing. 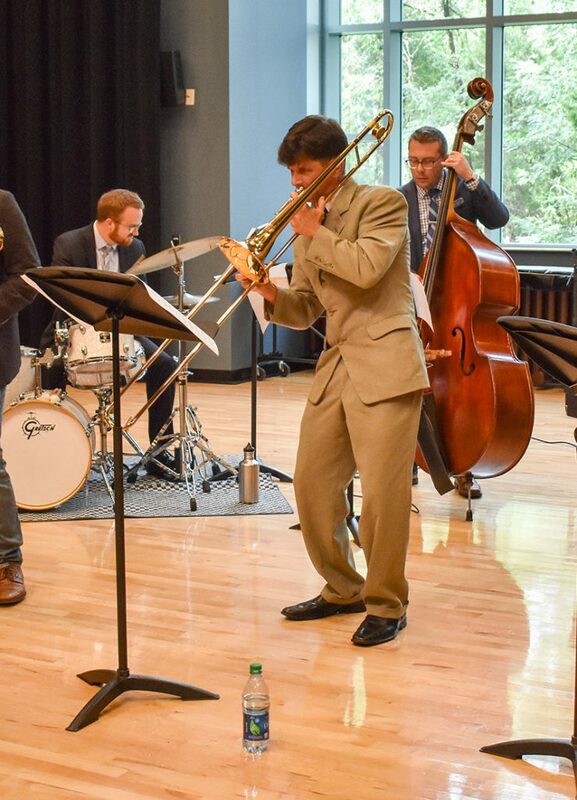 Recent performances by the John Kocur Quartet have included venues such as Bohemian Caverns, Blues Alley, Kennedy Center Millennium Stage, the DC Jazz Festival, Twins Jazz, and the Phillips Collection. 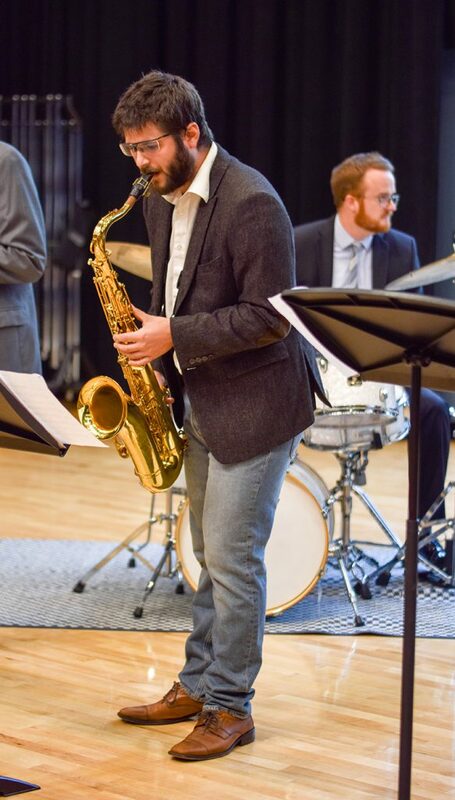 And Jacob Garbus is our next up and coming saxaphonist! He’s placed all around the world and with our own John Kocur, The Pharcyde, De La Soul and Talib Kweli, to name a few! His bio will blossom before you know it because his playing is right up there! My advice is, learn what you can from him now, because he’ll be off creating an amazing career before we know it!